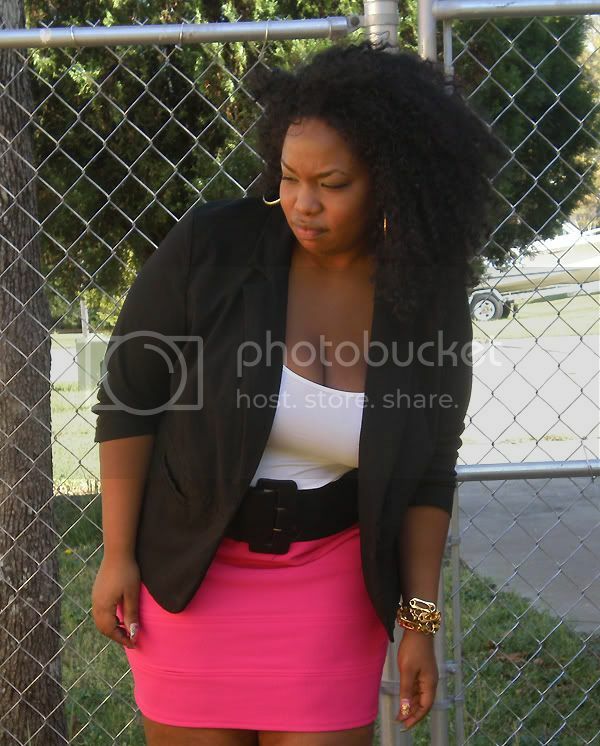 I bookmarked this look by Delmy because I love the pop of color that the skirt provides and when I saw this Evans fuschia bodycon skirt in Christina's shop I knew it had to be mine! Put the two together and voila! Hmmm maybe this should start being a feature. 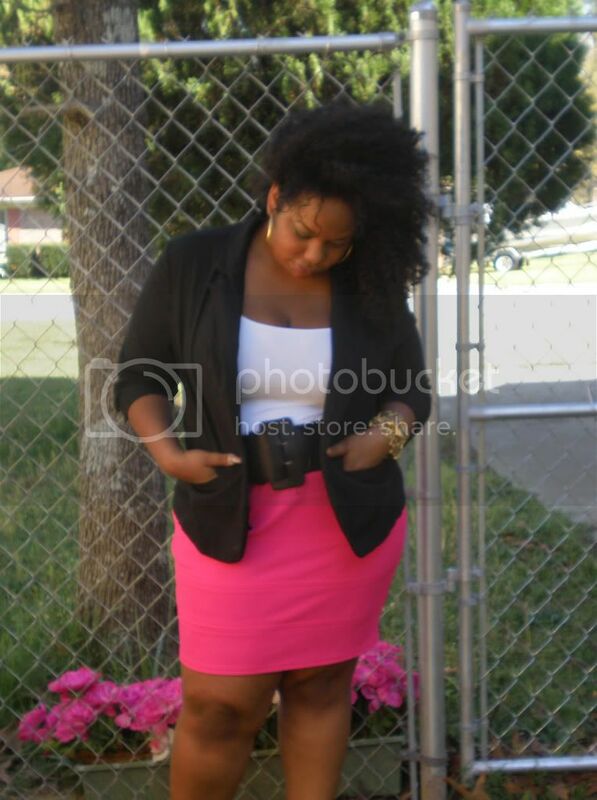 Straight sized blogger fashions in plus sizes? Yay or nay? Hope everyone is having a happy Friday! 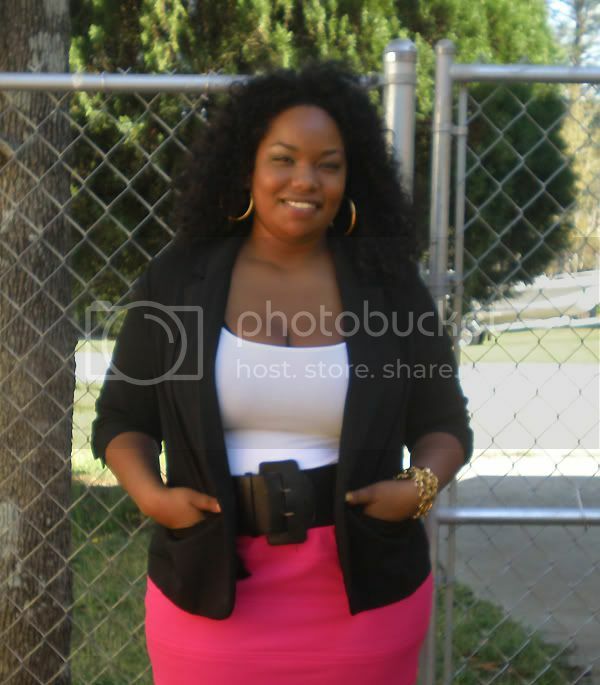 CLICK HERE TO CHECK OUT MORE OF IHEART FATSHION!! !